My 31st English book of the year was the English version of “One Piece” (Vol.1), a hugely popular Japanese comic book. When I tried reading this manga in Japanese before, I gave up at page 20 or so, partly because I didn't find the pictures very attractive. THE ONLY FLAW OF THIS BOOK IS THAT, AS WITH MOST ENGLISH COMICS, IT’S ALL WRITTEN IN CAPITALS, WHICH MAKES IT A LITTLE DIFFICULT TO READ FOR US JAPANESE. Having said that, I believe it’s a really good idea to use English translations of Japanese manga in order to study English. 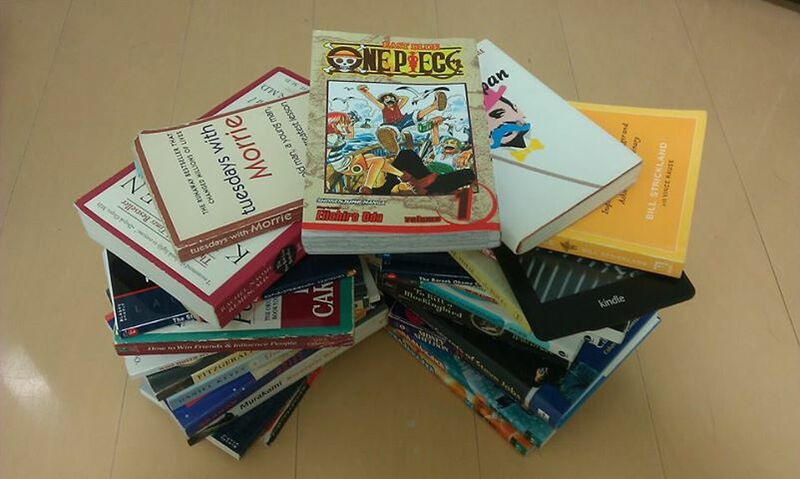 The English version of One Piece is the best form of “edutainment” (entertainment ＋ education). It’s highly recommended, especially for English learners who also like comics. 19 more books to go before I reach my goal of 50, with 15 weeks left this year.